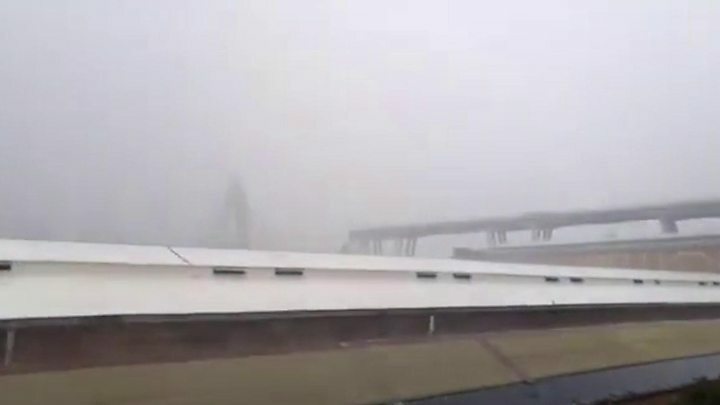 Road bridges in England will be reviewed following the collapse of a bridge in Genoa, the head of Highways England has said. Forty-three people died when a 200 metre section of the Morandi motorway bridge collapsed in the Italian city.Speaking to BBC Radio 5 Live, Jim O'Sullivan said the review was only "a precautionary measure". "We have nothing that tells us that we might have a bridge that's in anyway in trouble like that," he added. Highways England chief executive Mr O'Sullivan said the biggest structures, which include bridges, viaducts and tunnels, would be looked at "one by one". There are over 20,000 structures on the road network, he said, many of which share similar designs. Therefore the designs will be reviewed, rather than individually inspecting each and every structure. The review is expected to take three months, while implementing any changes needed could take up to 18 months.When asked if a bridge could collapse as happened in Genoa Mr O'Sullivan said: "No - straightforward answer. ""The first thing is we don't have any bridges of a similar design... the second is our maintenance regime here in the UK is very, very good. 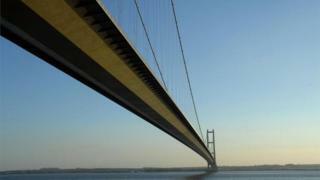 ""Many of the people who work in Highways England, in our supply chain, are seen as world leaders in the maintenance of bridges so we're very confident of what we do," he added. However, he said, if there were lessons from the Genoan bridge collapse, Highways England would learn them.It is not yet clear what caused the disaster but some have suggested ongoing maintenance work, a design flaw, heavy traffic or degradation could be to blame. » British protesters address ban to Trump: "'Build bridges not walls"